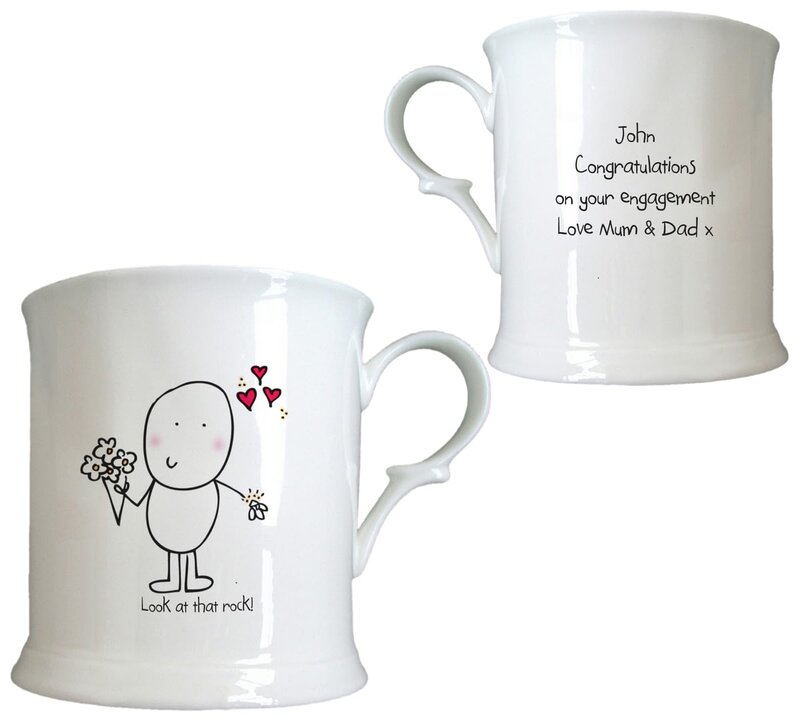 If you know a couple who's engagement needs celebrating, or you've just said 'YES' to your Mr right, this personalised tankard can be given with love used to celebrate. This bespoke tankard personalised with your message is sure to become the first addition to their home together. Flowers, hearts and our cheeky character are the perfect things to celebrate an important engagement.